ANNUAL LICENSE:Includes "Everything but the Instructor"
INSTANT ACCESS AVAILABLE ...TO PURCHASE and ACCESS IMMEDIATELY (or setup for later use), click on the orange link near the PRICE above. WHAT'S NEW: Completely redesigned in 2018-19. Now includes hands-on evaluation forms and guidelines for on-the-equipment operator evaluation as well as unlimited printing of over 25 training documents. Pays for itself by helping to lower equipment damage and minimize time spent in the field covering introductory information on individual basis. 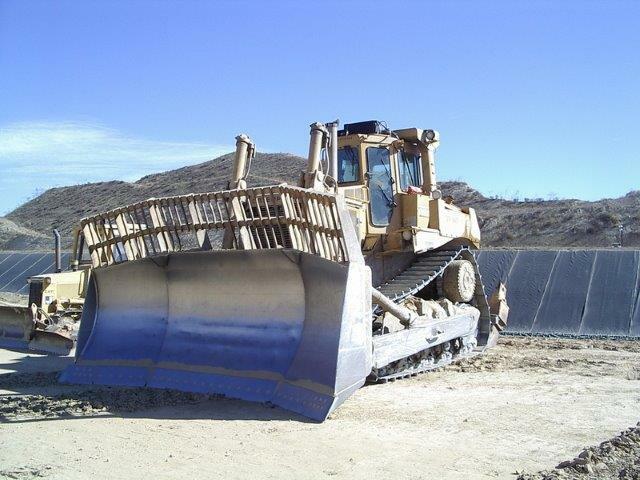 A complete crawler dozer training instructor "tool kit" for teaching bulldozer operation or for refresher training of experienced operators. Provides instructors who don’t have time to develop their own equipment operation and safety training programs, a comprehensive training presentation and a complete set of learner materials. This instructor kit applies to municipalities, mines and quarries and general construction - basically, any entity that owns this equipment. It covers a wide variety of machine brands and working conditions. Many customers have told us they have experienced people on staff who can teach equipment operation and safety topics, but they often lack the time and / or skills to develop a professional training program. That is why our training tool kits include "everything but the instructor"
Most equipment operators don't enjoy spending a morning in the classroom. Even when training, they want to be in the field. You can minimize classroom time by having students view 1-2 hours of the same training presentation materials online in a self-study format (perhaps on weather delay days?). They can even take an online final exam that is automatically scored. Before the in-person training class, review student online final exam scores. Then using the included "Reconnect Topics" verify learning and, (optionally) administer the included in-person written test. This can all take place in less than an hour of classroom time and makes more time available for on-the-equipment training. See how easy it is to setup online, self-study training accounts for your employees. Contact us for more info. MORE INFO ABOUT THIS KIT IS HERE.